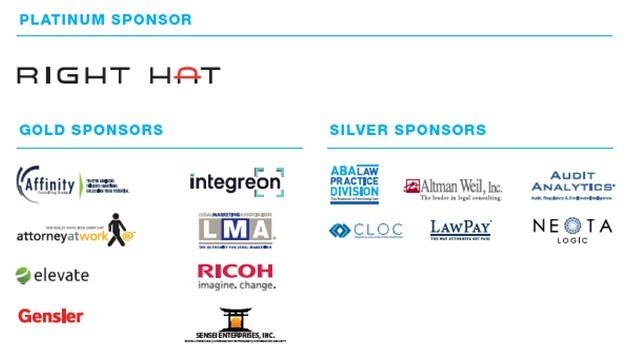 The Futures Conference, Annual Meeting and InnovAction Awards would not be possible without our sponsors. Sponsorship enables you to reach a unique elite audience of decision makers. The College is comprised of nearly 300 Fellows including lawyers, administrators, professors, consultants, marketing directors, and others who have made significant contributions to the profession. They come from the U.S., Canada, and eight other countries and are active in a wide range of professional organizations — the International Bar Association, the Association of Legal Administrators, the Legal Marketing Association, the ABA Law Practice Division, and others.